I love when my world of design overlaps with my hubby’s world of BBQ. This overlap could not be more true in the form of this consumable book… pages are torn and ripped from their spine to create a meal complete with salt, foil and a dishtowel! It’s pretty amazing… pretty beautiful… pretty one of a kind! If the below video isn’t showing up, click here for more on the project. The Bible of Barbecue — Tramontina from JWT Brasil on Vimeo. Ever since getting into scrap-booking, I all the more appreciate the time intensive, all consuming detail oriented art of paper cutting! Please take a moment to appreciate this beauty… from Zim & Zou for the SXSW Film Festival. Found via Brave the Woods. Fun stuff! Found via swiss miss, designed by Felipe Salazar. I loved watching this short video and animation on how Pinterest works… it truly is a phenomenon and one other amazing way the whole world connects. And of course, the designer in me, loves the case study on coming up with the icons and a breakdown of the various stages the design went through. Read more in Matt Stevens’ portfolio. Individually hand-picked flower petals, to represent each one of the 8 million pixels in Sony’s new TV exploded from a Costa Rican volcano, creating one beautiful visual! 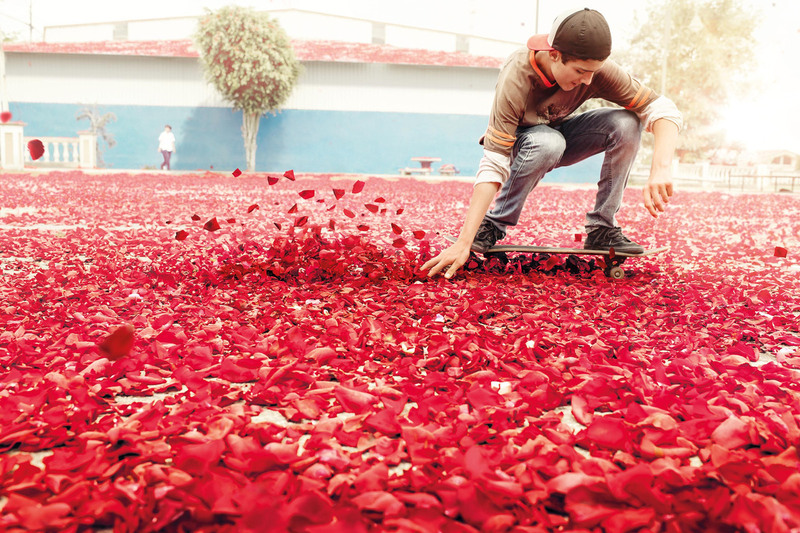 I love the behind the scene images of the crews there to document the petal explosion as well as a teen skateboarder cruising down the petal covered street. Found via The House That Lars Built.